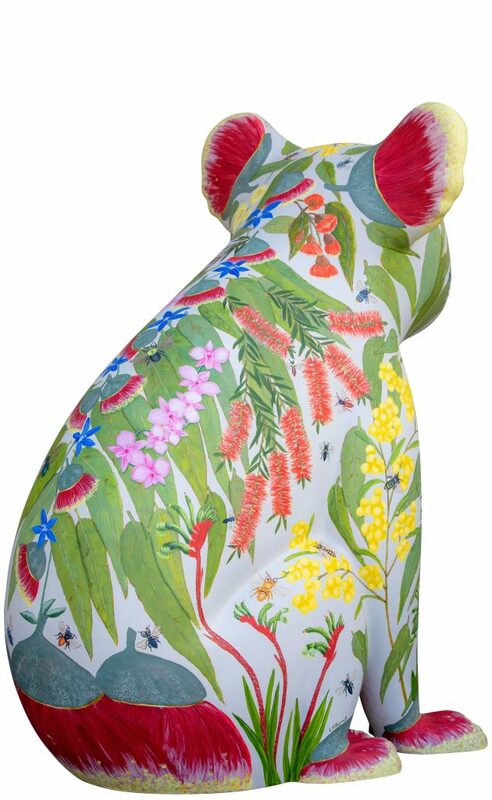 Buzzy celebrates some of our little known colourful, diverse Native Bees hovering between iconic native flowers that represent each state’s floral emblem. I have always been fascinated by the tiny miracles of nature that we rarely get to see. Our lives are so busy and we often don’t notice the quiet little lives in nature that are going on around us. Our own native stingless bee hive is an amazing addition to our garden and helps to pollinate lots of food plants as well as beautiful native flowers to attract birds and butterflies. I have found watching them to be so interesting and decided to find out some more about them. I was amazed to find there are so many different native species! 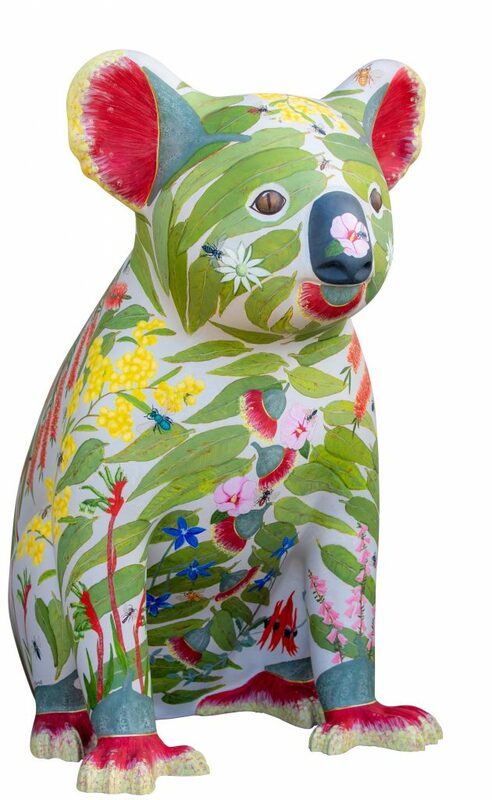 Of the more than 2000 species that Australia claims as its own natives, 20 are represented on Buzzy Bee Koala to show us just how nature keeps its beautiful secrets small and not always easily seen. Most are as tiny as a little fingernail and a few can be as big as a Christmas beetle. They are such gorgeous different colours and are so clever at nest building. The stingless hive bees called Sugarbag Bees build an amazing spiral comb. Some of the solitary bees have nests in the ground and some in tubes such as reeds. As a sister for Bushby, Buzzy is surrounded by our beautiful bush and eucalyptus leaves abound. 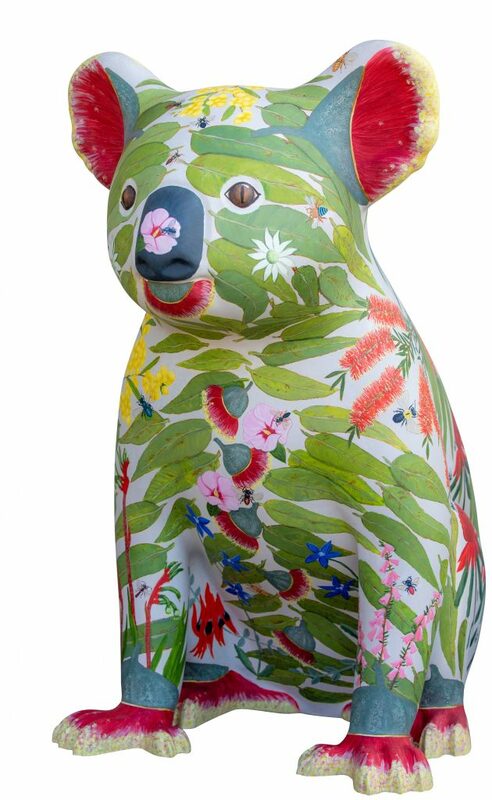 She has her own personality and has the red/pink colour blossoms to represent a species of eucalypt found in WA called Mottlecah (Eucalyptus Macrocarpa). It’s one of my favourite flowers. 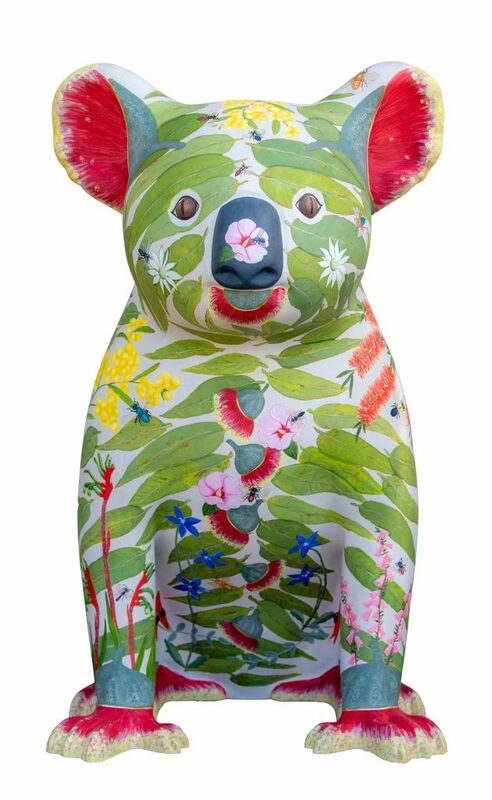 I put in lots of flowers for the bees and as the Koala is such an Australian icon I thought that our state emblem flowers, being iconic too, would be a great backdrop for the bees and provide lots of different colours for contrast. 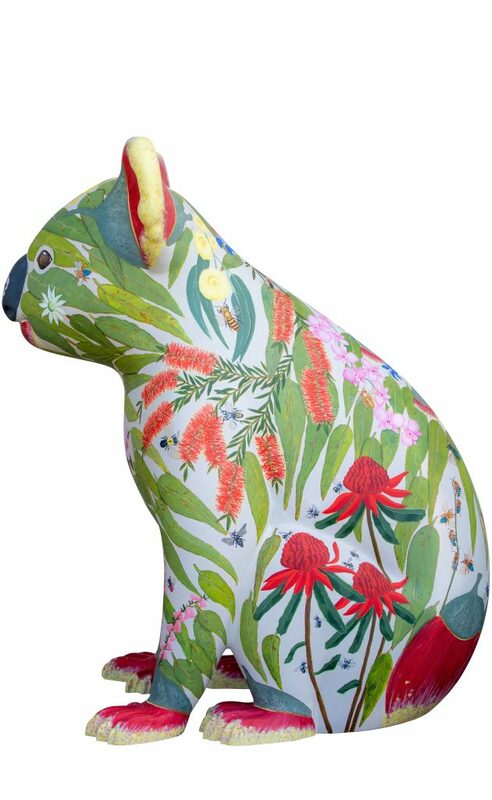 Also as Buzzy Koala is going to visit the Royal Botanical Gardens in Canberra, people from all over Australia would be able to recognise something from their own state. I have given her a pale grey/fawn background fur colour so that our eyes can have a rest from the very busy design of lots of bright colour and little bits to look at. The bees have all been placed near flowers that they may visit in real life and I have attempted to scale them up to about 3 times their actual size. There is also a European Honey Bee there for comparison. 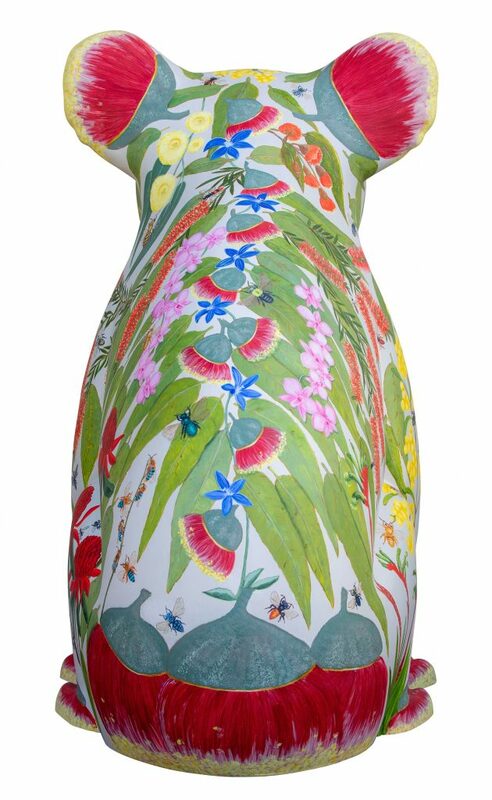 The flowers and bees painted on Buzzy Bee Koala all represent Native Australian Flowers and Australian Native Bee species. Artist living on the Mid North Coast NSW since 2001. Working in a wonderful childcare centre helping create artful minds for the future. Painting wall murals and encouraging a colourful world. Always either drawing, painting or making something. I am inspired by the natural beauty of the little things in life, the joy of children and the wonder of nature. 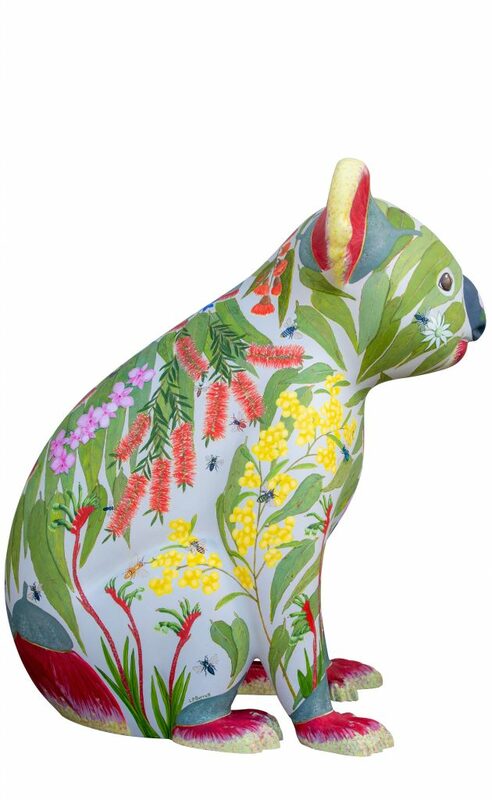 I am proud to have painted Bushby Koala. 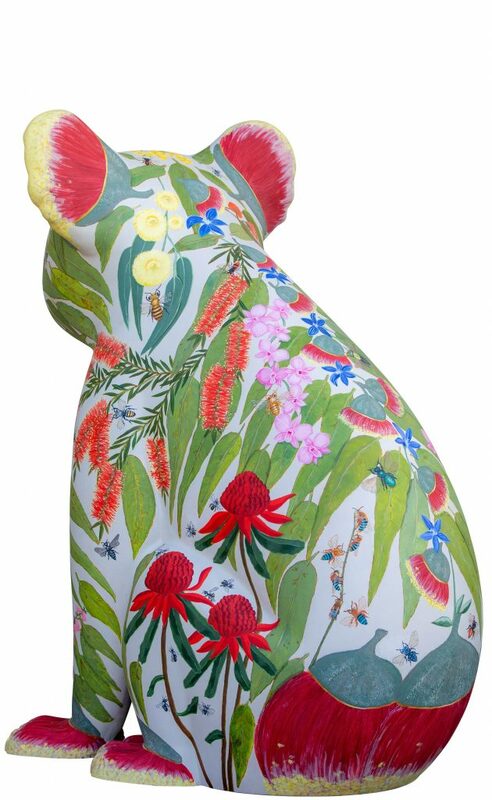 Recently a ceramic artist making highly detailed and carved decorative work both functional and sculptural. With a focus on Native Australian Flora. With recent work going to homes in New South Wales, Queensland, Victoria and Western Australia.